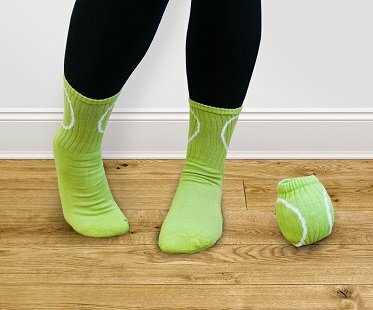 When it comes to choosing socks, why settle for a plain and boring pair when you can have these tennis ball socks?! At the end of the day you can take them off, roll them off and hit them with a racket into the laundry basket! One size fits all and suitable for both men and women.